Martin Young passed away peacefully on Wednesday, December 5th, 2018 at the age of 84 years. He was predeceased by his father, John (1971); mother, Harriet (2000); and brother-in-law, Peter Kroeker. Martin is survived by his loving wife, Marlene; children: David (Vivian) and their children Alexandra (Brianna), Connor, and Layne, Connie (Perry) and their children Eric and Rhiannon, Kevin (Francine) and their children Cody, Carson, and Madison; great-grandson, Caelan who was born on July 5th, 2018; sister, Elva and brother, Leslie (Judy) and their families. 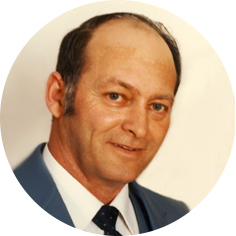 Martin was born on August 28th, 1934 In Moose Jaw, SK and was the second child for John and Harriet. He attended grade school at Stony Beach, SK. Martin started working for the PFRA in 1956 and retired in 1991 after 35 years of employment. Martin enjoyed working in his garage and garden. He also enjoyed woodworking and built many projects for his family and relatives. A Private Family Graveside Service was held on December 8th, 2018 at Sunset Cemetery. Arrangements are entrusted to Moose Jaw Funeral Home, 268 Mulberry Lane. Gary McDowell, Funeral Director 306-693-4550.